Countless homes across the country have recently been plighted by flooding, with many privately owned and buy to let properties being left inhabitable or in need of thousands of pounds worth of restoration. However, even though these issues are extremely serious, they are only short term compared to the effects the flooding will have on the property and private rental markets in the future. This year has seen some of the worst flooding in decades, across many parts of the country. 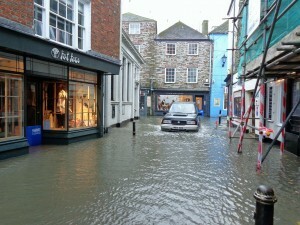 The flooding has meant property insurance claims being made across properties situated in the affected zones. Landlords in many parts of the UK are counting the cost of the devastating floods that have hit towns, cities and rural villages in the last couple of weeks.